Chef Ryan Castille's grilled peach salad is a perfect summer dinner starter. He made this recently, for our Fourth of July dinner. 1. Wash and cut arugula to desired size. 2. 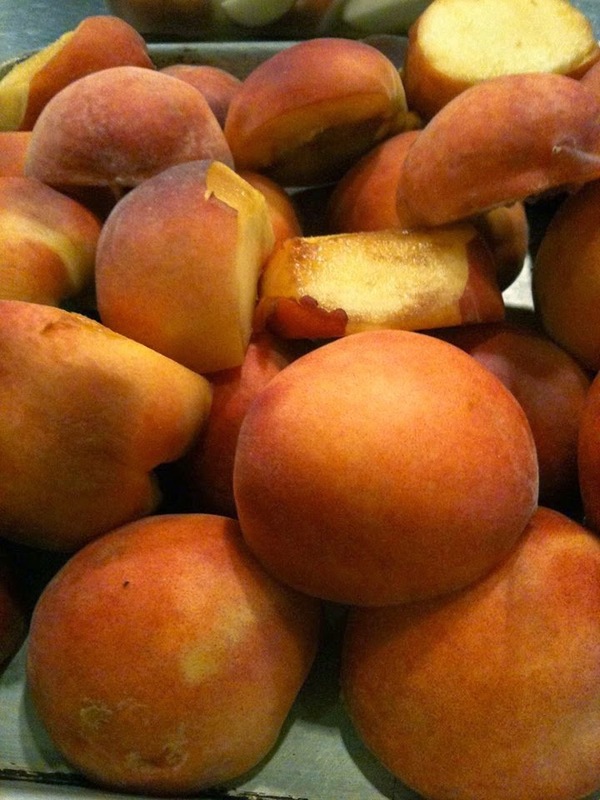 Cut peaches in half, and grill lightly, directly on pit, until warm and cross-marked. 3. Slice halves into fourths and divide on top of arugula. 4. Sprinkle candied pecans and chevre cheese over salad. 5. Drizzle with honey vinaigrette. 1. Combine vinegar, water, honey, salt and pepper together in a bowl. 2. Drizzle olive oil, while mixing, until combined.